The Infamous RED SKULL, The ruthless and cold-blooded military and politically manipulative genius has continuously lashed out against freedom and democracy whenever and wherever possible. 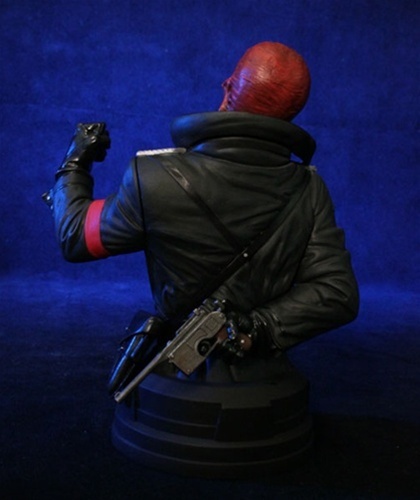 To this day, The Skull and his agents are always only a whisper away, lying in wait for the perfect opportunity to pounce on Captain America and crush all he stands for. Originally, Gentle Giant was going to release the Red Skull Mini Bust as pictured above with no interchangeable parts, but decided to make it a Deluxe piece. 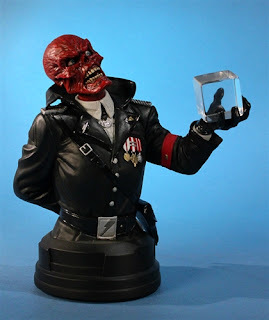 This Deluxe Mini Bust includes an interchangeable hand, allowing collectors to display Herr Shmidt wielding the infamous Cosmic Cube! This Comic book adaption stands at just over 7” tall and features precision details, including military medals and a hand gun behind his back. 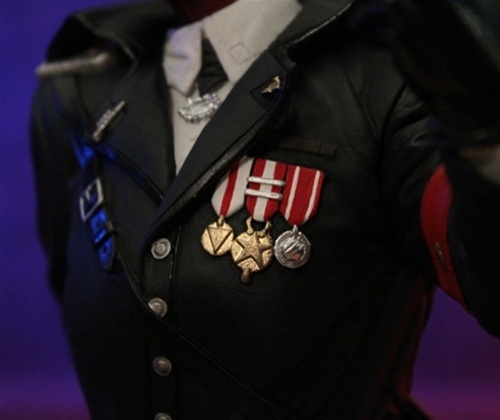 A strictly limited edition collectible that is cast in high quality poly stone, then hand painted and hand numbered, with an accompanying certificate of authenticity. 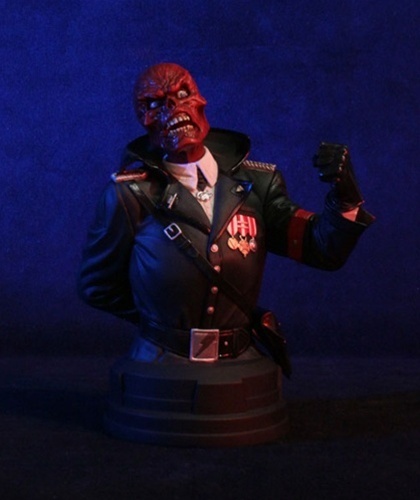 Gentle Giant Studios Marvel Deluxe Red Skull Mini Bust is available for pre-order!